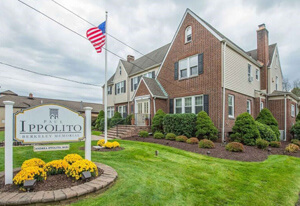 Preparing for a Funeral and Cremation in New Providence, NJ? 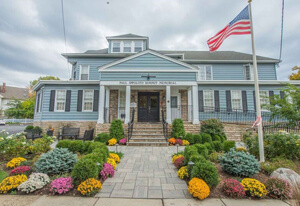 If you are preparing for a funeral and cremation in New Providence, NJ, then it is important that you take the time that is required to create a beautiful, memorable event. Even if you are short in time because it is an immediate need funeral, there is no reason to rush through the details that will affect the outcome. You only have one chance to say goodbye to your loved one, so it makes sense to design a custom funeral plan. At Paul Ippolito Berkeley Memorial, we are here to assist with the unique funeral services that you desire. Our team is here to offer the support that you need when you are preparing for a funeral or memorial. Whether you want to stick with tradition and plan a big funeral for many people, or you prefer to keep it simple with an intimate gathering, we will honor your requests. We strive to anticipate all of the funeral services that you might require, ensuring that you have access to everything that is needed in one location. The important thing that you need to remember is that there are always options available to support your desires for funeral planning. Some people prefer to work through the details in solitude, so our online planning tool is the perfect fit. These resources provide information about the full range of services that are offered. Families can review the information and create a funeral plan without leaving home. If questions come up while you are working through the online information, rest assured to know that we are always just a phone call away. On the other hand, some families prefer to have a conversation instead of reading information online. Our team at Paul Ippolito Berkeley Memorial is happy to answer your questions over the phone. Or, we can schedule a time to meet in person. You have the option to visit our location, giving you the benefit of an in-person meeting as well as a tour of the facility. We can also meet at another location if it is easier for your family. Keep in mind that these services are designed to simplify your planning process. We want to reduce your stress as much as possible, giving you the time to focus on the needs of your family. Our team provides a full, concierge approach with funeral planning, ensuring that all of the details are covered for your event. Even though we provide a variety of services, there is no reason you should feel obligated to choose a specific funeral plan. Packages are available that include some of the most popular services that are often selected by families. We also have many years of experience helping with custom, unique funeral services. When you are considering these choices, you first need to determine the size of the event and where it should be held. You are welcome to use our funeral home for large and small gatherings. We can assist with funerals, memorials, Celebrations of life, and more. Additionally, we are also happy to accommodate your request for an off-site gathering. You can choose a church, home, outdoor location, or any other place where you would like to meet with friends and family. During the consultation with our team, we will also talk about your options for the care of the body. If the family wants to keep things simple and affordable, then cremation might be a great choice. Cremation allows you to select a cemetery for burial, or the ashes can be scattered in a memorial garden or a destination that accommodates the preferences of your family. You don’t need to be worried about funeral and cremation planning in New Providence, NJ when you choose a reputable team in the area. 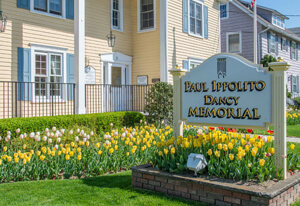 At Paul Ippolito Berkeley Memorial, we have many years of experience serving the residents in the surrounding cities. Our goal is to support the community with quality, affordable funeral and cremation services. We’ve built a strong reputation over the years, offering the best solutions for our customers. These quality events are available for people of all religions, backgrounds, lifestyles, relationships and more. We invite you to contact us any time if you would like more information about the best way to plan a funeral for someone that you love.